Leviton 1-Pole Commercial grade duplex combination AC toggle switch has voltage rating of 120 - 277-Volt AC and current rating of 20-Amps. 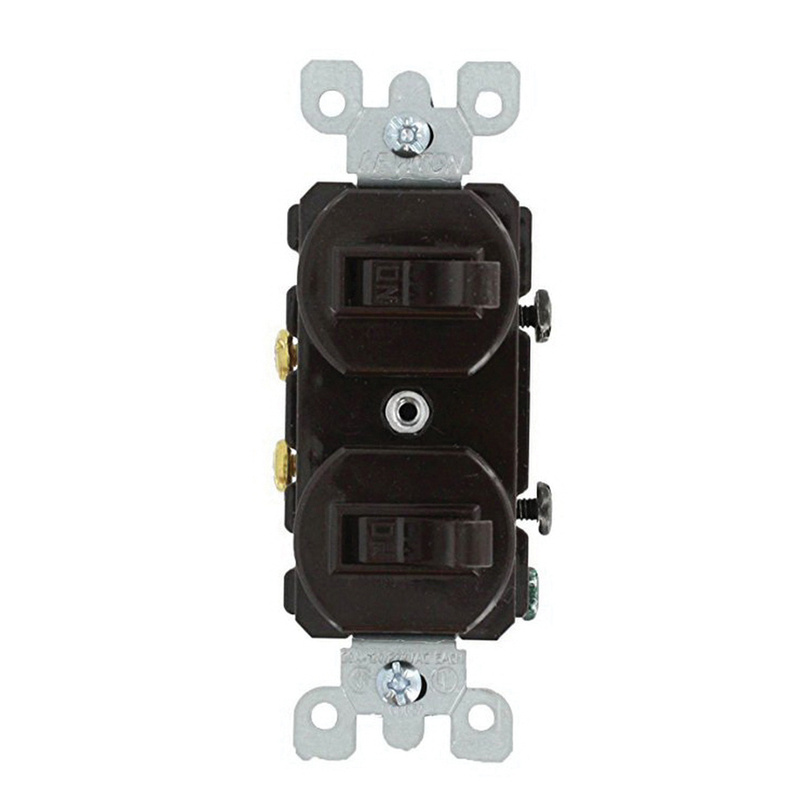 The non-grounding switch has dielectric strength of 1500-Volts. The toggle actuator switch in brown color, features thermoplastic construction for durability. Switch withstands a maximum load capacity of 1 hp at 120-Volts and 2 hp at 240-277-Volts. It has a dimension of 4.2-Inch x 1.62-Inch. 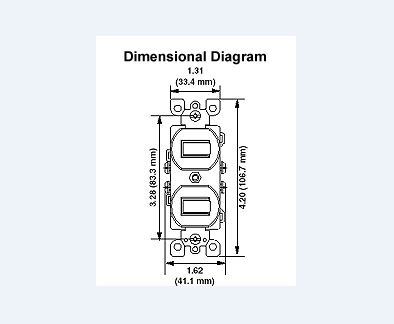 The side wired terminal connection switch has a temperature rating of -40 to 65 deg C. Switch is UL listed, CSA/NOM certified and NEMA/ANSI compliant.